Besides the HORI Taiko no Tatsujin Drum Controller, a new way of playing Taiko no Tatsujin: Drum ‘n’ Fun has been discovered. 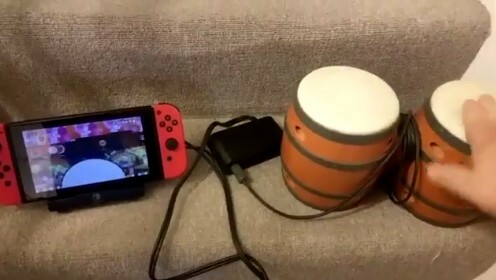 By connecting the Donkey Kong Konga Bongos via the GameCube Controller adapter, players can enjoy Taiko no Tatsujin: Drum ‘n’ Fun in a way they’ve never imagined before. Check it out in action below.